The great radio station that was to become KSFO had its start through a little-known program that aired on KGO in 1924, called "The Hour of Prayer". This was a series of daily morning radio sermons delivered by the Rev. George W. Phillips, pastor of the Tenth Avenue Baptist Church in Oakland. The hundreds of letters that poured into the station in response to the program had convinced Phillips there was publicity value in the program that greatly benefitted the church. However, just as he was beginning to become enthused about the idea, KGO cancelled the program. "The average radio program is not worth listening to. Time is used up with second-class entertainments, with inferior productions, with unrestrained stunts. I have been watching this for some time, and there is a field on the Pacific Coast for a station that will give something worthwhile. Some stations are ... most are not. We can make this station of ours worthwhile." The Board of Directors was in unanimous approval. The next obstacle was proposing it to the congregation. On a memorable Sunday evening, Rev. Phillips made the same proposal from the pulpit. He proposed a station that would be owned and operated by the church, but would be non-sectarian in program content, providing top-quality general programs as a public service to the community. He planned to make it the most worthwhile station in the West. There was a moment of silence as he finished his proposal, and then an out-of-town gentleman pledged $2,500 to help start the station. Then the entire congregation responded. Before the evening concluded, they had pledged nearly $35,000. The church contacted a construction company, and plans were begun. It was pointed out that the church building itself was too small, and they proposed to raise the building a story and construct the studio facilities underneath it. Phillips, some of the trustees and the architect all crawled under the building to inspect the foundation, and they determined that this would be feasible. Modifications to the church structure were needed. What was originally the ground floor became the second floor, and a studio and operating room were added underneath. When it came time to raise the towers, it was found that the church property was too small to hold both of them. The only feasible solution would be to construct one of the towers in a neighbor's yard. They approached the woman and offered to lease the property from her. "I don't want to lease it," they were told. "But, I'll give you all the land you need for your tower -- deed it to you." Waft, waft, ye winds, His story. it spreads from pole to pole. The main tower was topped with a large flagpole. From this pole each night, a pennant would be flown with the name of the musical conductor for the evening on it. And, on the side of the tower in large, illuminated letters, were mounted the station's newly-assigned call letters -- KTAB, for the Tenth Avenue Baptist. 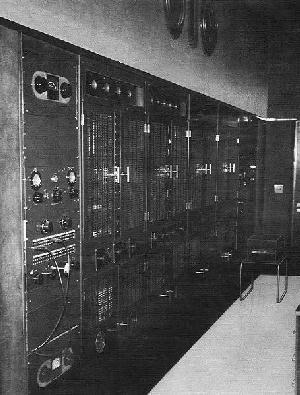 The transmitter was a modern Western Electric 1000-watt unit, one of only two factory-built transmitters in Northern California. A small house was constructed behind the church for the Chief Engineer to live in, so that he would be available on a moment's notice. Loudspeakers were placed in the chapel, so that whenever KTAB was on the air, members of the congregation could sit in the pews and hear the station's programs. In addition, they would be afforded the opportunity to inspect the station facilities every Sunday morning after services. Phillips set about the task of choosing his staff. He himself would be in charge of Sunday's religious programming, but for the remaining six days of the week he wanted someone who was already well-experienced in programming a broadcast station. For this task, he chose Mrs. Ada Morgan O'Brien, Program Director and Hostess at KPO, and former Hostess at KFDB. While at KPO, "O. B." had helped build that station into one of the most respected in the nation. She had been described there as the "sole feminine arbiter of radio entertainment on the Coast." "We intend to keep off the air when we have nothing really fine to offer. We want radio fans to realize that when they tune in for KTAB, they will be assured of something that is of high musical excellence and superiority. This is the essential behind this station -- to make it the most worthwhile station in the West, and the program will form a large part in this plan." Other members of the KTAB staff were chosen. Harrold Castle McQuarrie, an Oakland businessman, was named Managing Director of the station; William S. Tupper, Business Manager; Elsie Bishop, Secretary; and Rod Hendrickson, a San Francisco lumberman, Treasurer. In addition, Mrs. O'Brien chose six sub- directors to work under her, each to be in charge of one night's programming. 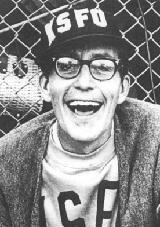 Lyle Tucker, formerly host of KPO's "Big Brother" children's program, was hired to conduct a children's hour every night. Hendrickson would be the station announcer. Other performers would be hired from the area for their performances. 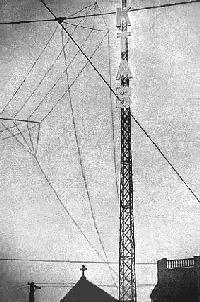 KTAB, with these high ideals, went on the air August 1, 1925, broadcasting with 500 watts on 215 meters (1395 kc.). The station operated at this reduced power, using its maximum allotment of 1,000 watts only on Sunday, until the Department of Commerce approval for full-time high-powered operation was received two months later. The station became 1,000 watts on a full-time basis October 20. KTAB was an instant success with the Bay Area radio audience. Some of the finest musical entertainment in the area was heard on KTAB's nightly concert programs. In addition, "The Hour of Prayer" was on the air again, this time assured of being able to operate without interruption. Indeed, it continued uninterrupted into the 1970's, on KTAB and later other stations, one of the oldest programs of its kind in the nation. KTAB aired a series of "DX" programs that became widely known, and gave KTAB world recognition among early radio fans. The first program was held on Christmas Eve, 1926, at 4:00 AM. The concept was to broadcast at a time when other stations were off the air, so that it could be heard without interference at much greater distances than normal. Amateur radio operators, through the American Radio Relay League, spread the word to radio buffs the world over. The KTAB program, put on in cooperation with the Oakland Post- Enquirer newspaper, was received on the Atlantic Coast, as well as all over the Pacific, notably in Hawaii, China and Australia. The program dealt with the city of Oakland and the Oakland port. It was such a success that several like it followed in later months. KTAB once again received world recognition in July and August of 1927, when it broadcast exclusive reports of the Smith-Bronte flight and the Dole flight to Honolulu. On both occasions, the station remained on the air 24 hours daily to report on the flight's progress, and when the Dole fliers went down in the Pacific, it was KTAB that broadcast information to the rescue ships. Finally, in 1928, a lease agreement was signed with the Pickwick Stages, a growing bus line that was building a chain of hotels across the nation and was also interested in building a chain of radio stations. KTAB would be the key station for the network, and its studios would be in the company's new Pickwick Hotel in San Francisco. The other stations in the chain, also recently acquired by Pickwick, were KGB in San Diego and KTM (formerly KNRC) in Los Angeles. 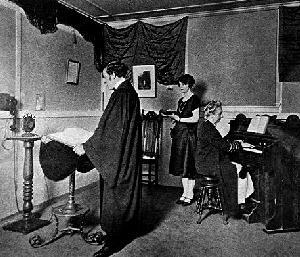 Pickwick again engaged Mrs. Ada Morgan O'Brien as Program Director. The only condition of the lease of the station was that the station would continue to air certain church programs, including "The Hour of Prayer". The transmitter was to remain at the church temporarily, but plans were made to construct two towers at the end of the Golden Gate Ferry pier, 3-1/2 miles off the shores of Berkeley. According to plans, the towers would be outlined in neon lights and would be visible from all over the bay. With new operators and a new head of steam, KTAB debuted from its San Francisco studios September 29, 1928. This was timed to coincide with the opening of the eight-story hotel and bus terminal at Fifth and Mission Streets. 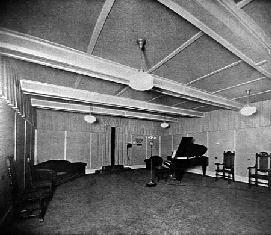 The studios on the second floor were lavishly furnished and glass- enclosed, and rivalled the KPO studios in size and scope. The new Station Manager was Mel LeMon. KTAB was once again a first class station, and winning favors with the radio audience. The Pickwick Company was growing fast and full of innovations, including the world's first sleeper bus. It was also highly leveraged. The carefully woven plans of the company unravelled quickly when the stock market crashed in 1929. Pickwick was forced into bankruptcy by several major creditors whose loans had bankrolled the rapid expansion of the company. The referee in the bankruptcy proceeding obtained the consent of the church to transfer the lease to Thomas Morgan, one of the Vice Presidents of the company, who attempted for a short time to operate the station. However, the church eventually found itself back in the radio business and saddled with a huge debt. In its desperation to rid itself of this albatross of his own creation, Rev. 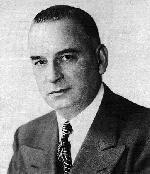 George Phillips turned to long-time station supporter Wesley I. Dumm. Dumm had been a prominent Wyoming banker in 1924 when his doctor told him he had a life-threatening illness. He was told the only way he could recover from his illness was to leave the mountain states and take up residence at sea level. That was the year Dumm came to San Francisco. While recuperating from his illness, he happened to hear Rev. Phillips on "The Hour of Prayer" over KGO. He wrote to Phillips, who in turn asked his audience to pray for Dumm's recovery. He healed very quickly after that, and later went to the church to meet Phillips. They became good friends, and Dumm became closely involved in the church organization. Once Phillips organized KTAB, Dumm contributed regular financial support to the station's well-being. (Dumm may have been the un-named "out-of-town gentleman" whose financial pledge started the collection of funds to build the station.) So it's not surprising that Rev. Phillips would turn to Dumm in 1933 to once more help with financial problems associated with the station. The Board of Trustees of the church found itself in debt about $100,000 due to its employees, and had other obligations which they were unable to meet on the day when President Franklin D. Roosevelt closed all of the banks in the United States following his inauguration. It was at this point that the Church Board and its Pastor, George W. Phillips, called upon me at midnight at a meeting which terminated in making the sale of the station to me. I paid up the indebtedness and signed an agreement allowing them the daily use of thirty-minute programs to continue the "Hour of Prayer", together with five hours on Sunday, for the use of the church in any manner whatsoever, retaining any income which they might produce for themselves. Wesley Dumm formed The Associated Broadcasters, Inc., and became President of the Board of Directors. While the transmitter remained at the church in Oakland, the studios were immediately moved to the penthouse of one of Oakland's finest buildings, the Insurance Building. Auxiliary studios were installed near Union Square in San Francisco. All new equipment was used throughout both facilities. After the station had received a thorough face-lifting, the new staff of KTAB set out to pull the station out of its number twelve rating in the twelve-station market. Sports became one of the station's key programming ingredients. Regular broadcasts of basketball, baseball, ice hockey, boxing and wrestling were heard. 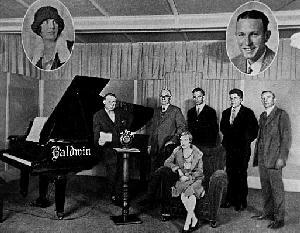 The station's special news coverage abilities were demonstrated by its broadcasts of the landing of Amelia Earhart in Oakland in 1934, the flights of Captains Ulm and Kingford-Smith, and the first Trans-Pacific Clipper flight. By 1935, Dumm decided he needed experienced broadcast management for the station, and he hired Phil Lasky, Manager of KDYL in Salt Lake City. It was when Lasky joined forces with Dumm that things really started to happen at KTAB. Within three months, the call letters were changed to KSFO, to help listeners better identify the station with the San Francisco-Oakland area. At the same time, the main studios were moved from Oakland to the penthouse of San Francisco's newest business monolith, the Russ Building. The resultant publicity of all this put KSFO in a good position: in its new location, the station found itself housed in the same building with many of the city's top advertising agencies. 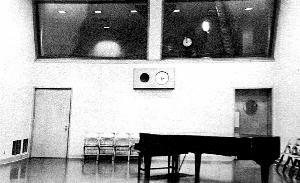 Lasky capitalized on this by setting aside one room in the station's new 31st floor studios as a record audition room, the only one in the building. And, he gave a key to each agency. Within a matter of two years, the old KTAB had completely transformed itself. But Dumm and Lasky were not satisfied. They contacted Guy Earl and Naylor Rogers, who operated the well-known independent station KNX in Hollywood. Together, they formed the Western Network, a two-station hookup which began operation in 1935. 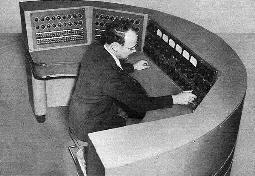 The network functioned successfully until 1937, when CBS bought KNX. In negotiations that followed, KSFO became the Northern California key outlet for the new CBS network, replacing KFRC, and CBS was given an option to purchase KSFO. Under the direction of CBS, a new quarter-million dollar studio complex was constructed in the fall of 1937 as an annex to the Palace Hotel, boasting no less than seven studios and 26 offices. KSFO took over the new facility the following year, and began construction of a new 5,000 watt transmitter at Islais Creek, on the Bay Shore in San Francisco. And, the station's city of license was officially changed to San Francisco. From 1937 to 1942, KSFO was the origination point for many CBS programs that were heard along the Pacific Coast, and a few heard nationwide. The four-year rise of KSFO from the cellar of the market to the regional key station for CBS became a local broadcast legend. One disadvantage to Wesley Dumm of the new CBS affiliation was that it put "The Hour of Prayer" in jeopardy. Ever since the program had played a part in his recovery from illness, Dumm had made a personal commitment to himself to maintain the program on the air. But CBS's requirement that it control all KSFO's programming meant the program would be cancelled. KROW's new studios had been constructed on the second floor of Kushin's Shoe Store at 19th and Broadway in downtown Oakland, and it replaced the small studio that had been in use at an East Oakland church. The transmitter remained at the church, however. The short romance between CBS and KSFO ended just four years after it started, when Dumm decided not to consummate the sale of the station to CBS. CBS immediately dropped its relationship with KSFO and transferred its affiliation to KQW, which it later purchased. 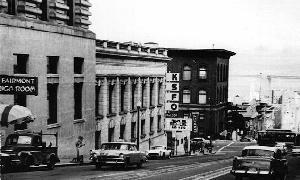 KSFO was obliged to move out of the Palace Hotel studios, owned by CBS, where they were replaced by KQW. KSFO occupied temporary studios on the 17th floor of the Mark Hopkins Hotel on Nob Hill from April of 1942 until the following August, while permanent facilities were being constructed as an annex to that hotel. KSFOs importance as a broadcast station did not end when it parted company with CBS. With the start of World War II, KSFO produced war news that rivalled, and occasionally surpassed, the networks. As the key station for the Universal Broadcasting Company, a new but short-lived network, KSFO provided extensive news coverage, as well as regular news commentator reports, to the rest of the nation. The station broadcast fifteen-minute newscasts hourly, emphasizing the national and world news, along with in- depth reporting and feature stories. And, in the mid and late forties, KSFO provided live coverage of many major news events. For example, the station had its own reporter on the scene to cover the Japanese surrender in 1945; a KSFO broadcast of General Douglas MacArthur's arrival in San Francisco had reporters broadcasting from seven different vantage points; and, the station had its own box at the United Nations organizational meeting in San Francisco in 1945, and broadcast live every major event of the meeting. A personal friend of mine, now deceased, Colonel "Wild Bill" Donovan ... made an urgent appeal for me to come to Washington in August of 1941 for a meeting which was called to include President Franklin D. Roosevelt, Robert Sherwood (the author) and others, for the purpose of organizing a "Voice of America", also attended by representatives of Great Britain and Australia. During this meeting, not only was the first meeting organized for the birth of the "Voice of America", but also, President Roosevelt asked me if I would build two shortwave stations in San Francisco to serve the Far East. In his plea, he not only stated that NBC and CBS Networks had lost so much money broadcasting into South America with their shortwave stations but that they had refused to consider a station to be located in San Francisco in order to carry out his wishes. President Roosevelt further informed me that he would reimburse me with emergency funds in his possession if he failed to find support for such an investment out of government funds. Dumm accepted Roosevelt's plea, and within five weeks after Pearl Harbor, 100,000 watt KWID and 50,000 KWIX (later KWID-II) were on the air. The combined domestic and international broadcasting efforts of KSFO, KWID, KWIX and the Universal Broadcasting Company required a large and elaborate studio complex, which was built in a new basement annex to the Mark Hopkins Hotel, to be known as Number One Nob Hill Circle. The shortwave studios themselves were constructed under the hotel, in what is now the underground parking garage, because the sturdy construction of the hotel made them virtually bomb-proof. Programming in several languages and from several studios simultaneously, KWID broadcast 24 hours a day for the duration of the war. At the KSFO transmitter on Islais Creek at the Bay Shore, an addition to the original building had been constructed to house the two giant shortwave transmitters, one of which had been shipped from General Electric's shortwave operation in Schenectady, New York. An eleven-acre antenna complex adjoined the building. Simultaneous with the start of KWID, the government opened offices in San Francisco for a new agency, the Office of War Information. The entire KWID staff was turned over to this agency, which programmed the two stations and underwrote the entire cost of operation. Two years after Pearl Harbor, the OWI had officially formed "The Voice of America", its own network of shortwave stations, that it operated in addition to KWID and KWIX. The OWI took over the vacated NBC studios at 111 Sutter Street as its headquarters, and acquired the former NBC international broadcasting facilities at Delano and Dixon, California, to transmit those programs. 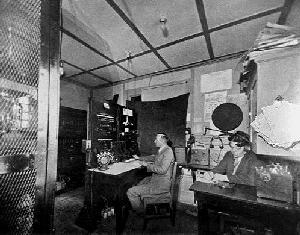 A staff of hundreds of English and foreign announcers, translators, censors and other program and management personnel operated three networks simultaneously, broadcasting to the Far East, the North and South Pacific and South America on an around-the clock basis. The service provided by these stations was invaluable to the Pacific war effort. American servicemen were able to keep in touch with home through hourly English broadcasts, and thousands of telegrams and letters from such areas as the Phillippines, China and Samoe attested to the fact that the stations were widely listened to, and that they brought people in those countries a measure of hope needed to perserve. In fact, it was over KGEI, broadcasting to the Phillippines after the fall to Japan, that General Douglas MacArthur broadcast his famous "I will return" message. After the war, San Francisco quickly lost its importance as a news gathering center. In 1946, the Voice of America moved its headquarters to New York, although the Delano and Dixon transmitting facilities continued to operate. KSFO continued to operate KWID for a few years, but soon took a lesson from the networks, who had learned in the thirties that international stations could not be made to be profitable, and shut down the stations. President Roosevelt kept his word to Wesley Dumm, and, when Congress refused to honor the costs that he had sustained to build the station, the President personally reimbursed him from his private emergency fund. After the excitement of the war news era had subsided, KSFO found itself without a network affiliation at a time when the big network radio stations were drawing an ever-larger share of listeners. The station sought new ways to find a niche for itself. 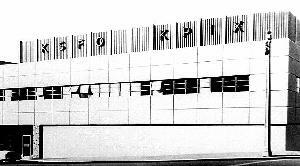 Post-war KSFO relied heavily on the "news and music" formula: hourly newscasts of fifteen minutes each had been inaugurated during the war, and unfirom music programming was added shortly after. Programs such as dinner and dance music, symphoniese and musical comedies were typical of post-war KSFO. Disk jockeys were still not commonly in use at that time, and music was formally introduced by announcers reading prepared scripts. Occasionally, live popular music programs could also be heard, such as the "Lucky Lager Dance Time" and the "Hale Brothers' Hour". One popular exception to the "news and music" concept was Wally King's "Man on the Street" interviews, one of several programs of this type on the air in San Francisco at the time. In 1946, the F. C. C. lifted a freeze on the expansion of broadcast facilities that had been in effect during the war years. This began a series of frequency changes and improvements of existing stations' facilities, and opened the doors to a wave of new AM stations. There was one frequency on the AM band that the F. C. C. would allow to operate at 50,000 watts in San Francisco. That was 740 kc., and it was occupied by KQW. In 1941, when KSFO was still affiliated with CBS, the network had entered into an agreement with KQW, calling for KSFO to take over the frequency and raise its power to 50,000 watts. KQW, which operated with 5,000 watts on the frequency, was to move to the spot occupied by KSFO. The entire package had been submitted to the F. C. C. and was awaiting approval when the war-time freeze was mandated. During the course of the war, however, CBS had changed its affiliation to KQW, and it was not willing to give up its opportunity for a clear-channel affiliate in San Francisco. As a result, the network filed a counter-claim on the frequency, asking for 50,000 watts for KQW. What evolved was a comparative hearing between KQW and KSFO over who was to obtain the coveted dial spot. The F. C. C. conducted a lengthy hearing on the subject, and finally granted the power increase to KSFO, the original applicant. Plans were immediately readied for the construction of an elaborate, multi-tower transmitter site at Novato, in Marin County. Simultaneous to this, KSFO also applied to the F. C. C. for FM and TV licenses, which were granted without controversy. The matter seemed settled, after several years of heated debate. However, KSFO began to doubt the wisdom of its decision. According to Phil Lasky, former Manager, KSFO made an intensive investigation to determine the post- war future of broadcasting. A manuscript of several hundred pages was the end result, in which several predictions were made. It concluded that the future of radio was dim, and that television would be the rising star of the fifties. The KSFO management team called a hasty conference, and it was decided to fall back and regroup. An offer was made to CBS to trade the 740 kc. dial position for the CBS TV network affiliation in San Francisco for KSFO's new TV station. The property in Novato went to CBS as part of the deal, and KQW, soon to be renamed KCBS, shortly thereafter increased to 50,000 watts. The Associated Broadcasters' new station was to be the first TV signal in Northern California. Potential call letters were toyed with, and KSFO-TV and KWIS were both considered and rejected before KPIX was finally settled upon. It was soon discovered, though, that the call letters had already been assigned -- to a fishing boat in the Puget Sound! Undaunted, Dumm contacted the owner of the ship, who proved reluctant to give up the call letters. Dumm, who had once used his initials to name his short wave station, KWID, managed to convince the mariner to obtain new call letters made up of his own initials. This caught his fancy, and the change was quickly arranged by Dumm. KPIX first broadcast its channel 5 signal on Christmas Eve, 1948, when there were only 3,500 Northern California homes equipped with TV receivers. Phil Lasky, Manager of KSFO, also became Manager of KPIX. The station was originally housed with its radio sister in the Mark Hopkins Hotel. The transmitter and antenna were located atop the hotel structure, at that time the highest building in downtown San Francisco. In 1952, both KSFO and KPIX moved into new quarters on Van Ness Avenue, the present KPIX building. This new three story television and radio complex was then hailed as the most modern broadcast facility in the nation. That same year, the station's transmitter made the move to Mount Sutro, in the geographic heart of the city. The KPIX transmitting power was upped from its original 16,700 watts to 100,000 watts the following year. KPIX was sold to the Westinghouse Broadcasting Company in 1954. Manager Phil Lasky stayed with the station, ending his long relationship with Wesley Dumm. He remained as Manager of KPIX for another 15 years until his retirement. The Associated Broadcasters retained its ownership of KSFO, and now concentrated all of its efforts on its remaining radio facility. The corporate name was changed to San Francisco Broadcasters, Inc., and a new manager was imported from KROW, Alan Torbett. He brought with him a new sound he had been developing there, the personality format, which he had based upon a successful Los Angeles station. He also brought a bright young morning disk jockey talent named Don Sherwood. Sherwood (whose real name was Daniel Sherwood Cohelan) had come to KROW from KCBS to form part of a two person morning team named Nick and Nudnick. He quickly stood out as an exceptional talent. His popularity grew quickly on KSFO, and Sherwood soon rose to the height of local fame and popularity, becoming one of the nation's highest paid radio personalities. Other well-known KSFO disk jockeys, names such as Al Collins, Jim Lang, Jack Carney and Dan Sorkin, would help make KSFO a consistent leader in Bay Area program surveys for over a decade. 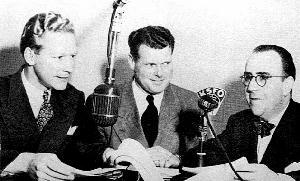 KSFO moved its studios to the Fairmont Hotel in 1955, and the station was sold the following year to Gene Autry's Golden West Broadcasters. It was under the careful guidance of Manager Bill Shaw that KSFO rose to even greater heights. This was done with a skillful blend of personality music programs, local news and local sports. The result was a station where each of these three program elements complemented each other to the extent that it was sometimes hard to distinguish one from another. During the Golden West years, KSFO acquired the exclusive broadcast rights for San Francisco Giants Baseball, Fortyniner's football, plus U. C. Berkeley footbal. Early KSFO sports broadcasters included Bud Foster, Bob Fouts and Bill King. Finally, in 1957, a young sports announcer named Lon Simmons was hired to do the Fortyniners' broadcasts. The following year, when the New York Giants were moved to San Francisco, they brought with them a nationally-prominent sportscaster by the name of Russ Hodges. From that year on, the Simmons-Hodges broadcast team became the area's best-known. It was a partnership to be broken only by Hodges' death in 1971. Various clippings and mementos from the scrapbook of Mrs. Ada Morgan O'Brien. "KSFO History". Unpublished; from the KSFO historical files. Broadcasters. La Jolla, California, April 2, 1971. Untitled, unpublished biography of Phil Lasky, former KSFO Manager. supplied to the author by Mr. Lasky. Interview between author and Phil Lasky, former KSFO Manager. Hillsborough, California, December 8, 1970. Interview between the author and Bob Hansen, veteran KSFO announcer. San Francisco, California, October 28, 1970. Federal Radio Commission Station List, as authorized on 11/11/28. As researched by Barry Mishkind, 1993-94. � Copyright 1997 John F. Schneider. All rights reserved. For better views of the photographs, see the Photo Archives section of this website.